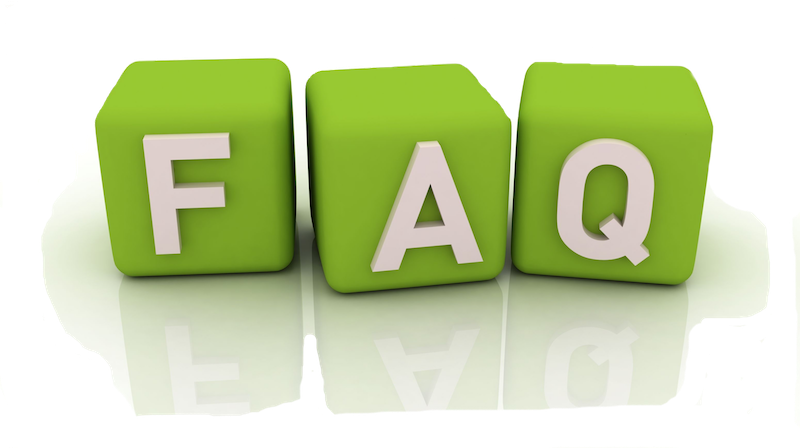 Frequently Asked Questions | Welcome to West Oakville Preschool Centre! Q. Do you have subsidized spots available? A. A. Yes we do! We require a letter of confirmation from your Regional Child Care Representative to provide subsidized care. Please discuss with your Regional Child Care Representative to determine costs and eligibility. For further information about subsidy, please visit Halton Region Children’s Services. Q. Do you offer part time care? A. We have part time care available for Toddler and Preschool programs only; 2-day option – T/Th OR 3-day option – M/W/F. We do not offer half-day programs. Q. How flexible are pick-up and drop-off times? A. We offer care from 6:45 am to 6:30 pm. Pick-up and drop-off times are flexible however, children benefit from routine and consistency, giving them a sense of security. We recommend choosing times that work best for you and your child, allowing enough time for drop-off and enjoyment of our program, as well as designating a pick-up time that allows for quality time at home. The core of our program activity typically occurs between 9:00 am to 4:30 pm. Q. How do caregivers communicate with parents and when can parents visit? A. Our staff are strategically scheduled to be available during drop-off or pick-up times, allowing direct parent-teacher interactions. We encourage parents to ask questions and share information about their child’s development and well-being. We are registered with HiMama (a mobile app) which enables us to communicate daily happenings to parents (i.e. toileting/diapering, feeding, napping, activity & development) in the form of a report that gets sent directly to your email when you register. Parents can also call or email the centre, or request a courtesy call from us, at any time. Q. How do you involve parents in your programs? A. At WOPC we practice an open-door policy. Parents are welcome to visit the centre with their child for suitable periods of time, depending on the needs of their child, especially during their child’s transition into our program. A transition plan will be discussed/developed during the registration process. We welcome parents to participate in our programs wherever opportunity arises, to share their time and talents. We host a number of Family Events throughout the year (i.e. Mother’s Day High Tea, Family BBQ, Holiday Performance, AGM) and encourage families to join us! We are also governed by a volunteer Board of Directors, some of whom are parents, and periodically parents are welcomed to apply to join our board. Q. What qualifications do the staff have? A. Our team consists of a number of Registered Early Childhood Educators and Assistants in every classroom, all hired based on their skills and experience working with children and families. Some of our staff have additional credentials/certification in Child and Youth Work, Child Psychology, Education, Resource Teacher, and Fine Arts. All our staff are certified in Standard First Aid and Infant/Child CPR, and receive annual re-certification. WOPC is committed to supporting the professional development of our amazing team and staff participate in ample professional development opportunities throughout the year. Q. What happens when staff are sick or away? A. We have ‘in-house’ supply staff, who are familiar with all of our programs, children and families, and work on a casual basis. When further coverage is needed, we contact an agency to book staff, and try to request individuals who have worked consistently in our centre. We create our own set of supply staff to familiarize our children and parents with. Q. What happens when a child is sick? A. If we notice your child is under-the-weather we will make a courtesy call to you. If your child is showing serious symptoms of ill health (fever, diarrhea, vomiting or an undiagnosed rash), we will call you immediately and request a pick-up, and may recommend you seek medical attention. Your child will be in our care, until your child is picked up. Children should be symptom-free for a period of 24 hrs before returning to the centre. Alternative periods of exclusion may apply and vary for communicable diseases. WOPC follows all recommendations and requirements of Public Health with regards to sanitary practices, in an effort to reduce the spread of infection. Q. Is your food prepared on site? Or catered? What kind of meals and snacks do you provide? A. We prepare our food straight from our kitchen. Maintenance of our kitchen is in accordance with Public Health. Our cook provides meals and snacks that are delicious and nutritious…and kid-approved! We can accommodate most dietary or allergy restrictions. Our menu is developed to meet the guidelines of the Child Care and Early Years Act, and Canada’s Food Guide. Q. What will my child do throughout the day? A. We implement a program that follows the interest of the child. Our staff will plan, facilitate and engage learning through various activities to enhance all developmental areas: cognitive, fine motor, gross motor, social-emotional, creative, etc. We also schedule routine times for toileting/diapering, snacks and lunch, nap time and outdoor time. We make learning fun! Q. How long do the children play outside? A. It is a ministry requirement to allot two hours per day outdoors. Weather permitting, the children will go outside for one hour in the morning and one hour in the afternoon. For extreme weather conditions, we will plan for an ‘indoor day’. With our facility we are fortunate to have extra space to plan indoor gross motor activities. A. Parents would first complete a Waitlist Form and wait to be contacted when a space becomes available. A Registration Package can then be picked up or sent (via email) to the parent to complete and return with a $100 Registration Fee. Once received, the space is confirmed for your child to start in our program. Q. How do I get on the Waitlist, and how does the Waitlist work? A. Parents may contact the centre and request to be placed on the waitlist, via phone or email. Children are added to the waitlist, in priority sequence, based on their 1st date of contact with the centre. Siblings of children already enrolled will receive priority placement over other community members on the waitlist. Often parents may wish to book a tour before being placed on the waitlist. Once a space becomes available, or is anticipated to become available, the Executive Director or Assistant Supervisor will contact parents to offer space. Parents have a choice to accept the space, continue to wait for next available space, or request to be withdrawn from the Waitlist. Q. Do you have a plan for transitioning children into care? A. We introduce a Transition Plan to all families when they register and when children move from program to program.